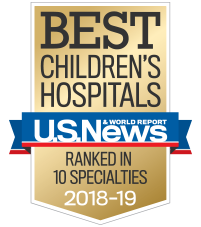 Children’s Healthcare of Atlanta offers high-quality collaborative care to children with a wide range of airway, breathing and lung conditions, including pediatric aerodigestive diseases, allergy and immunology, asthma, cystic fibrosis and more. We offer a wide range of treatments for children with breathing and digestive disorders that affect the mouth, throat, lungs and esophagus. We offer the comprehensive screening and the latest treatments for children with allergies and immune system disorders. We specialize in treating infants and children with sleep apnea to help them sleep safely and soundly. We work closely with children, their parents and primary care doctors to help children manage their asthma symptoms and live full, active lives. We offer expert care for children with CF, which affects breathing and digestion, and help families learn how to manage the disease. Our team is specially trained to care for children and teens who have respiratory problems. We help infants, children and young adults get a good night’s sleep with expert diagnosis and treatment for sleeping disorders. Our Ventilator Program is designed for children and teens with injuries or illnesses that affect their breathing ability.